Hillary Chybinski: i love fall. . .
i love fall. . .
. . .it is probably my favorite time of the year. i love the colors and the decorations. i love the smells and sounds. for the last week or so, Ryan and i have been busily decorating the house and front steps for fall and Halloween. even with the rainy days here, we've been trying to keep a crisp fall feeling going. 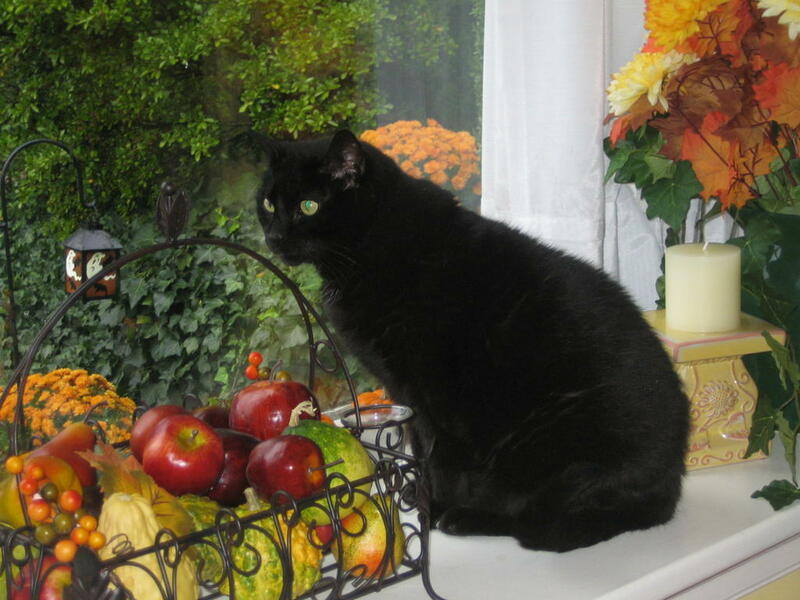 we even have a spooky black cat. . .well, maybe not so much spooky as just black. . .
What Will RealNetworks Do With The Money? What Will RealNetworks Do With The Money? : With this $460 million cash bounty, RealNetworks now ... Together, the two command upwards of 44 percent of the market...AOL's AIM has about 56 percent, says BetaNews.